Mark Aronchick, Esq., vice-chair of the Hillary Clinton Campaign in Pennsylvania, opened the meeting of Jewish leadership discussing Clinton's stand on issues affecting the Jewish community. Ann Lewis, senior advisor of he Hillary Clinton Campaign, had come down from New York, specifically to answer any questions about Hillary's positions on various topics. 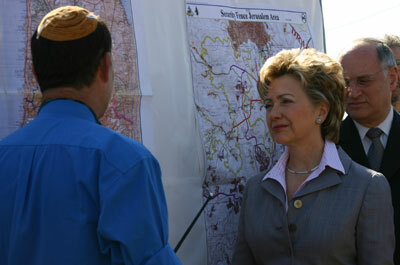 Susan Stern, chairman of the campaign's National Council of Civic Leaders, a friend and neighbor of Senator Clinton's, shared her experiences on various trips to Israel when she had accompanied the senator, describing Hillary's compassion in visiting victims of terrorism at Hadassah Hospital and in their homes. Stern also pointed out that the trips in 2002 and 2005 also heartened Israelis because of the support economically which Hillary's trips represented. One example was of a press conference held at the Sbarro's pizza shop which had been re-built after a terrorist bombing. Hillary would not allow her people to leave after the press conference was finished, insisting they all stay and buy pizza. She even got Ehud Ohlmert to stay for lunch . Stern also said that Hillary had worked tirelessly for many years to gain acceptance for Israel's Magen David Adom in the International Red Cross. David L. Cohen, chairman of the Clinton campaign in the state, explained that he is supporting Hillary Clinton for President "because of what the Clintons have done for me and for Philadelphia on a wide variety of issues." Cohen said that Clinton has a track record of consistent support for Israel, which is very important to the Jewish community. Ann Lewis continued that Hillary Clinton's life was consistently focused on Tikun Olam, repairing the world. She assured the audience of 100 or more that Hillary has a commitment to Israel's continuance as a Jewish state "with definable borders," and that Senator Clinton had signed onto the security fence and brings the media to the fence on each of her trips to Israel. Congresswoman Allyson Schwartz came back from Washington to participate in the session, praising Hillary Clinton for having imported an Israeli child care program, when Clinton was First Lady of Arkansas, a program which has now spread to dozens of states. Each of the presenters was careful to avoid saying negative things about Senator Obama, while praising Senator Clinton's long-time commitment to Jewish concerns and to the state of Israel. 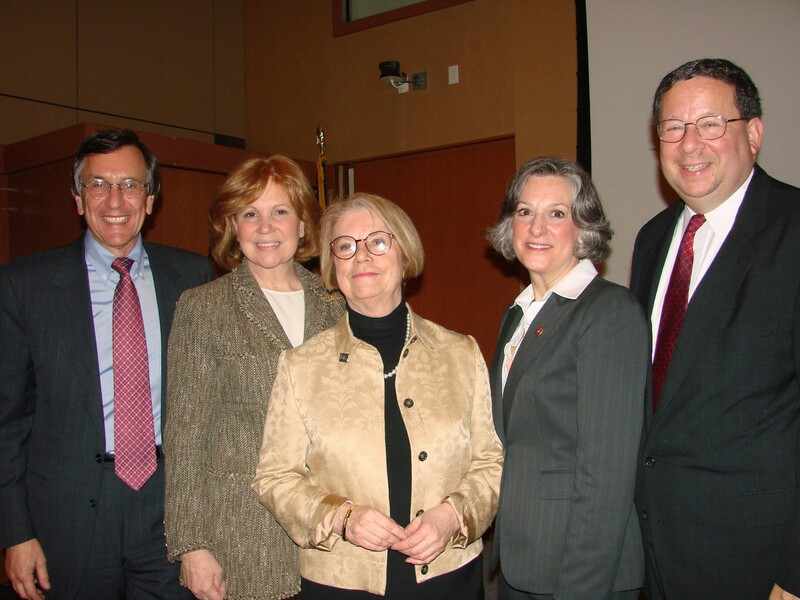 Interested participants and hosts of the session on April 1 at the Marvine Comiskey Conference Center included, among others, Leonard Barrack, chairman of the Jewish Federation of Greater Philadelphia, and his wife Lynne, Marcel Groen, chairman of the Montgomery County Democratic Committee, Joe and Renee Zuritsky, Betsy Sheerr, Robb Fox, Deborah Willig, Betsy and Hershel Richman, and others involved in the Jewish Federation of Greater Philadelphia and JAC (Joint Action Committee, a Jewish women's political PAC).